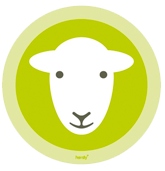 Herdy design and create unique gifts, homeware and accessories that are made to make you smile. Based in the Lake District, and originally inspired by lovable Herdwick sheep, Herdy also support sustainable rural communities and upland fell farming projects. Since 2007, Herdy’s mission has stayed the same – to make people smile. Screen Pages was tasked with recreating this mission in a digital format and to share in their passion for products made in Britain. Screen Pages set about creating a colourful, playful and awe-inspiring site that had more than a touch of humour to it. 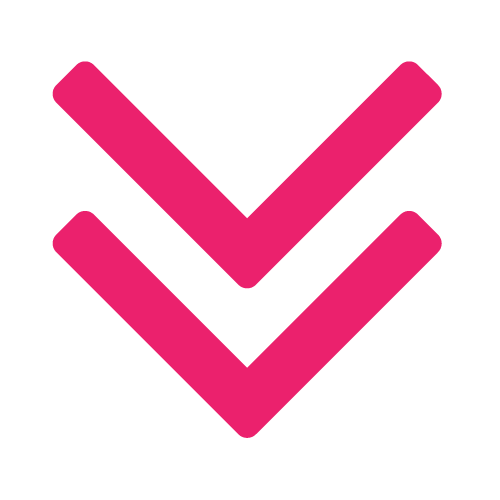 As eCommerce specialists, we focused on the Magento side of things, ensuring the site performed and delivered as it should. 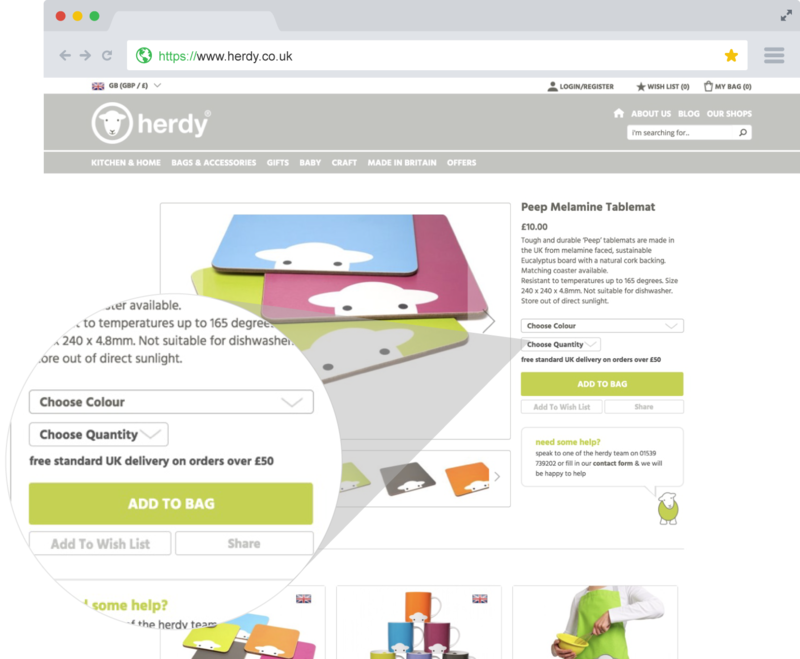 We worked with Herdy to ensure the site’s content reflected their values and humour, whilst the eCommerce engine complimented and enhanced the user experience. What makes Margaret Howell’s site so special is the organisation, management and automation. Managing products, orders and customers is so easy and elegant. Magento is the most flexible, most powerful eCommerce platform. Customisable and agile, Magento gives your business the flexibility other platforms can’t. Magento is the easiest and smoothest implementation for any modern cloud commerce platform. It uses an open-source ecosystem. Flexible for B2C, B2B, and hybrid solutions, Magento extends beyond the shopping cart. 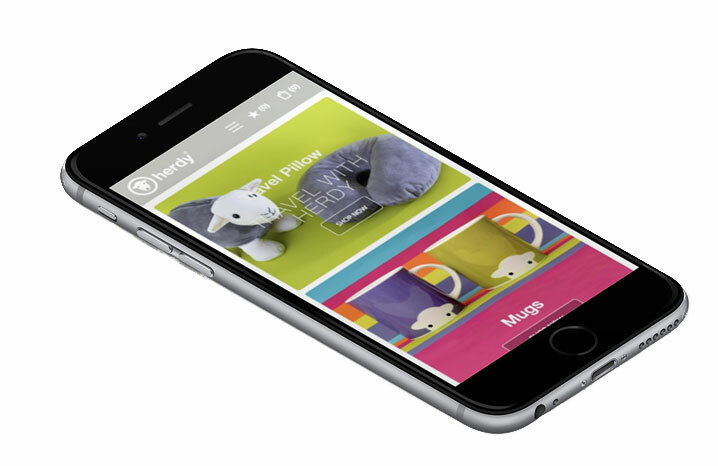 Screen Pages and Herdy deliver a colourful and friendly experience for its shoppers to enjoy. Responsive web design (RWD, also referred to as responsive design) was a key focus for Herdy. Screen Pages had to ensure an optimal viewing experience across a wide range of devices (from large, high-resolution desktop computer monitors to mobile phones). Combined with Herdy’s passion for humour, the user experience (UX) became our obsession. 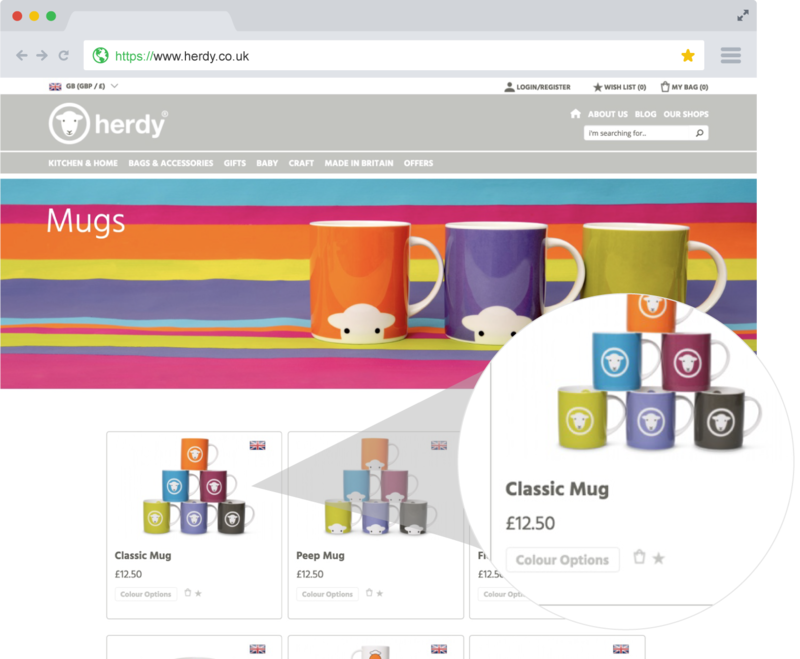 The objective was to ensure the user eCommerce journey was as streamlined and efficient as possible, whilst maintaining high regard for Herdy’s ethos.